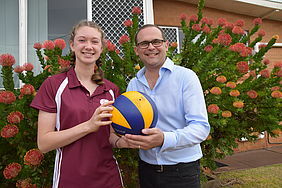 Miss Milne, 14, will be playing for the Under 15’s Queensland Volleyball Team during the week-long tournament in Brisbane, helped along with a $250 Local Hero Grant from David Janetzki MP. Mr Janetzki said he was delighted to help Miss Milne after receiving a letter from her which mentioned the expenses her family faced including tournament fees, uniform costs, coaching fees and accommodation. “Ella is a natural volleyball player and trains almost every day of the week,” Mr Janetzki said. “She currently plays on four volleyball teams – USQ, State, school and social – as well as juggling her schoolwork,” he said. 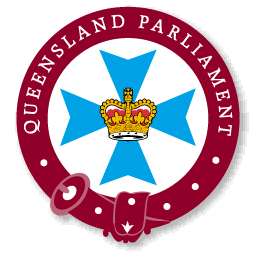 Miss Milne is in Year 8 at Centenary Heights State High School and has also been offered a scholarship position with the Queensland Academy of Sport and Volleyball Australia. Mr Janetzki’s Local Hero Grants program provides small but meaningful grants to not-for-profit groups and individuals from the Toowoomba South electorate. “Four grants of up to $250 will provide financial support for local groups who support our community and to individuals needing assistance to participate in sporting, cultural, artistic or other activities,” he said. There will be four grants of up to $250 available through two rounds each year. Community groups and residents wanting to apply can visit www.davidjanetzki.com.au/local-hero-grants/ or contact the Toowoomba South electorate office on (07) 4602 3100. Image Caption: Ella Milne will be competing in the 2018 Australian Junior Volleyball Championships next week, helped there by a $250 Local Hero Grant from Member for Toowoomba South David Janetzki MP.